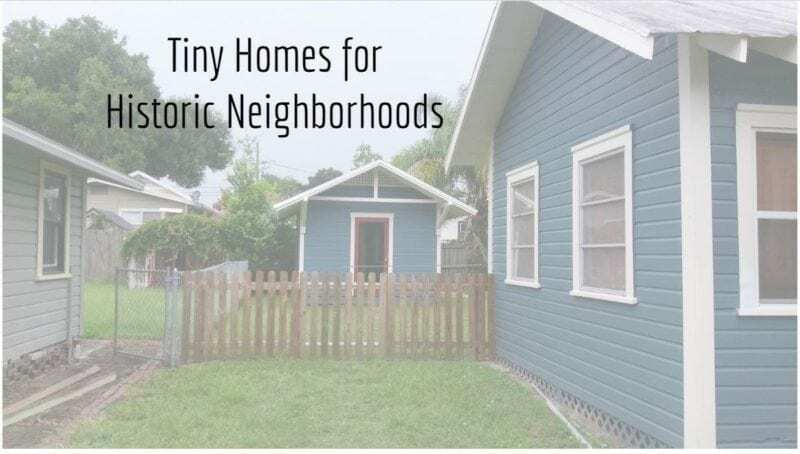 I got a little over-excited about the 2016 Florida Tiny House Festival and applied to speak on two topics. Surprisingly, both were accepted, leading me to a little extra stress as I prepared for our weekend in Elkton, FL. I both love and hate speaking in front of groups, as I imagine a lot of people feel. Saturday afternoon I was scheduled to speak on Tiny Houses & Historic Districts, but unfortunately the location for my talk wasn't conducive to a Power Point presentation. After a little confusion, speaker Brian Kennedy and I were able to switch locations and we progressed just fine. Below is the presentation that I used for the talk. You can also see the presentation for my Codes & Tiny Houses talk on Sunday morning. Feel free to email or comment below with any questions.